Description: White. 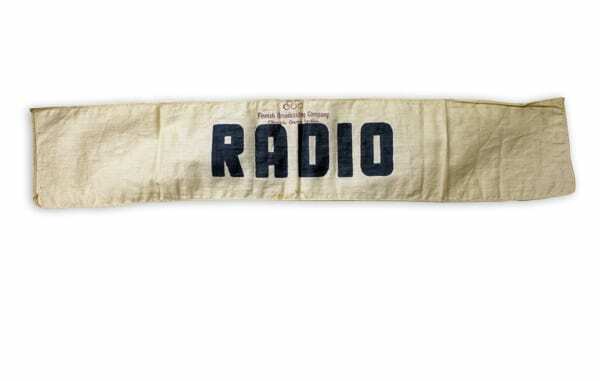 Text RADIO printed in blue. Small text: Finnish Broadcasting Company Olympic Games S.